I’ve been posting so many black and white images of late I decided I wanted something more colorful. I was perusing my Lightroom catalog today and ran across this shot I took a couple years ago at a show at the Automotive Hall of Fame in Dearborn, Michigan. 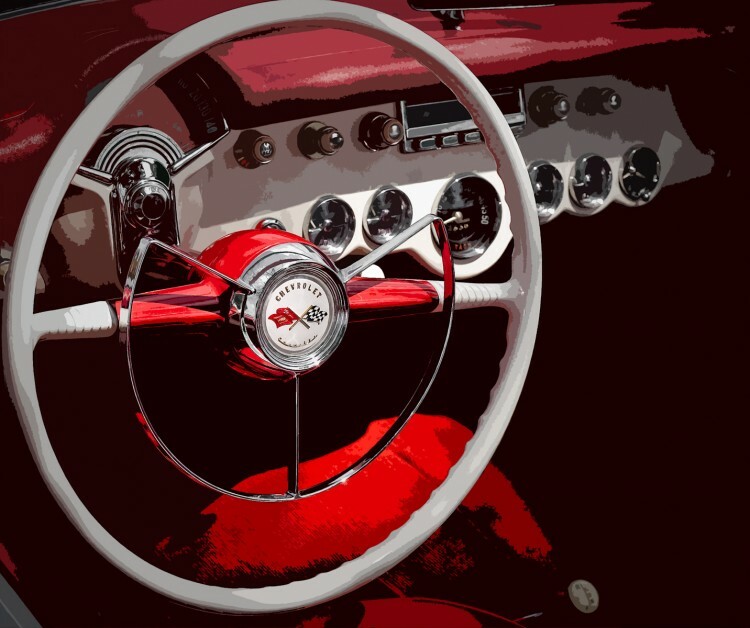 I called this post ‘Little Red Corvette’, but actually the car was white, with a red interior. 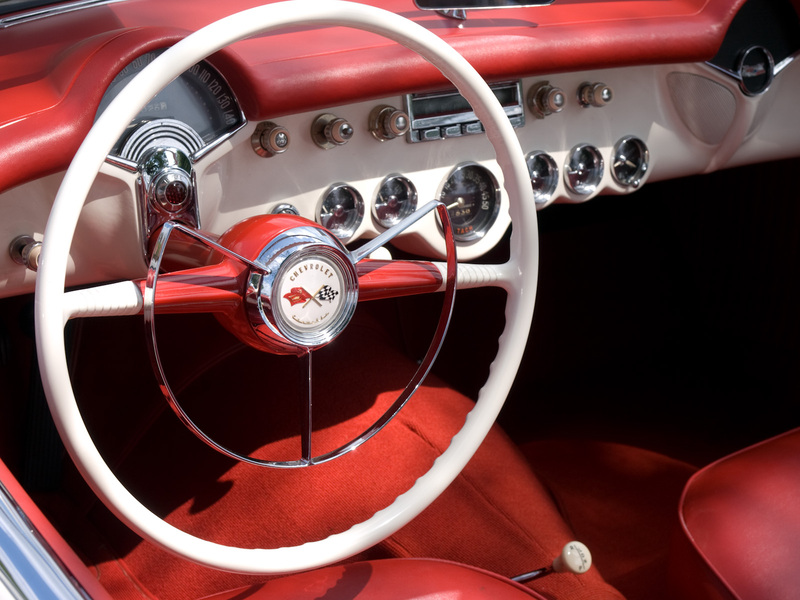 The car was built in 1954, the first year the Corvette was manufactured. I did some experimentation when I processed this shot. First, I cropped the image just a bit to remove some parts of the image which weren’t really needed. I then used the Photoshop Cutout filter to create the choppy color effect. I selectively applied the filter, masking the effect from the center of the steering wheel and a bit of the dashboard, place that I wanted the lettering and numbering to appear normal. Love the processing. Works very well for this image. I think it looks fantastic! Great vivid red. The new “look” works for me!